Implement risk assessment and treatment compliant with ISO 27001 & ISO 22301 yourself, and do it easily and efficiently with our Documentation Toolkit. 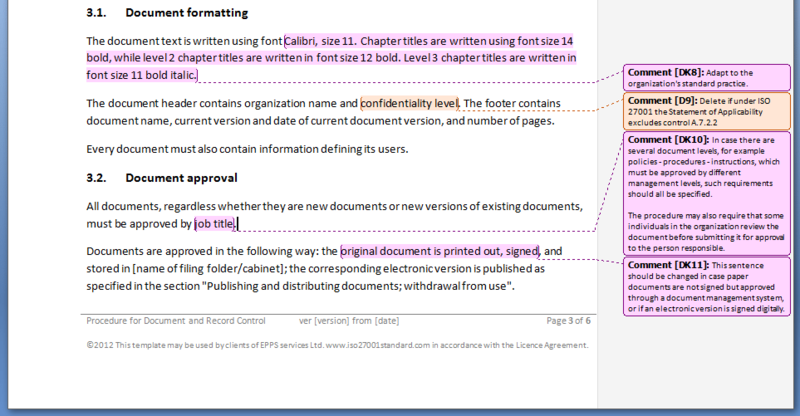 Acceptable for ISO 27001/ISO 22301 certification audit? – All risk assessment and treatment documents required by ISO/IEC 27001 and ISO 22301 are included. 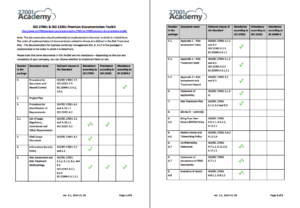 Look at EVERY template in the ISO 27001/ISO 22301 Risk Assessment Toolkit – for free! – before making a purchase decision. 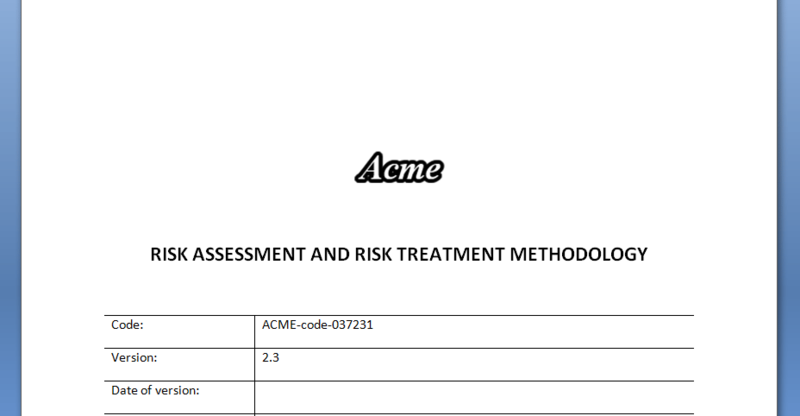 The Toolkit is available in English, German, Dutch, Spanish, Portuguese and Croatian, and includes the following ISO 27001 / ISO 22301 templates: Risk Assessment and Risk Treatment Methodology, Risk Assessment Table, Risk Treatment Table, Risk Assessment and Treatment Report, Statement of Applicability, and Risk Treatment Plan. 27001Academy is renowned for the accuracy and quality of our products and services. This means you can be certain that each template in our toolkit was developed and reviewed by leading experts in ISO 27001 & ISO 22301. Our documentation templates were designed specifically to take the stress and worry out of your implementation project. Our documentation toolkit includes templates for every single document you need to implement risk assessment and treatment compliant with ISO 27001 and ISO 22301; they are fully acceptable for the certification audit. When you purchase the toolkit you’ll get 1 year of free access to selected video tutorials. This way you will not only learn about the basics of ISO 27001 and ISO 22301 risk management, but also get a guided tour on how the documents are to be filled in. The ISO 27001/ISO 22301 Risk Assessment Toolkit was developed especially for small to mid-sized businesses to minimize the time and costs of implementation. Our toolkit doesn’t require completion of every document that a large world-wide corporation needs. Instead, it includes only those documents YOUR business needs. We understood your needs, found the answers to your questions, and developed ISO 27001/ISO 22301 Risk Assessment Toolkit especially for your company. Our toolkit doesn’t require completion of every document that a large world-wide corporation needs. Instead, it includes only those documents YOUR business needs.